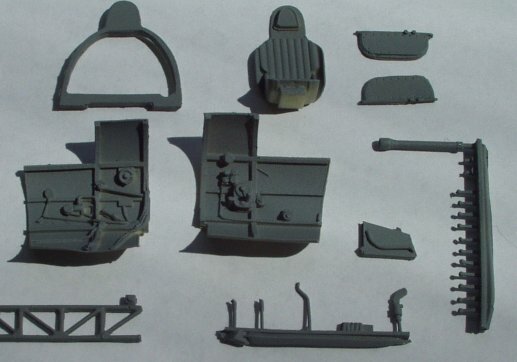 We have just got our first look at the new cockpit set for the I-16 from Airwaves resin. "Wow!" seems a bit inadequate for this one. 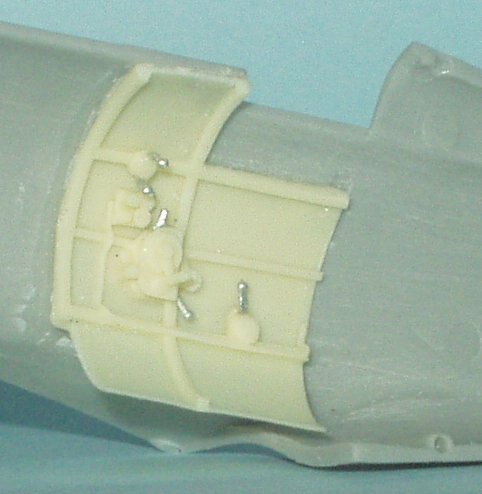 We'll not review the set here; other full reviews are already being completed by several modelers. Instead, let us just show you a quick peek at what to expect in the set. 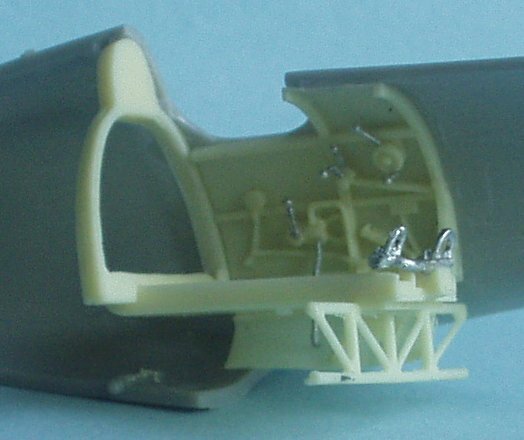 Oxygen bottle, nitrogen bottle, gun sight, control stick, flare pistol, rudder bar, etc. 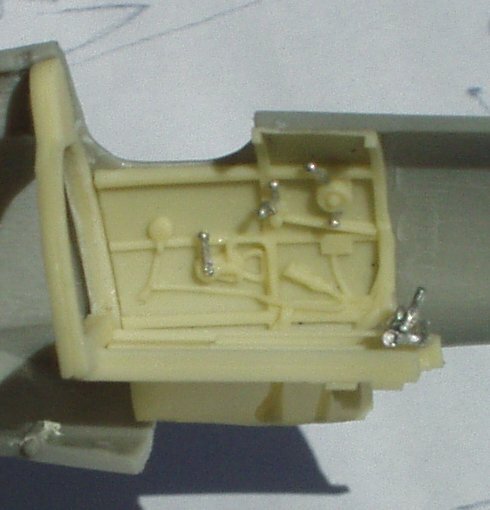 Most of the set is made with the usual fine Airwaves resin. 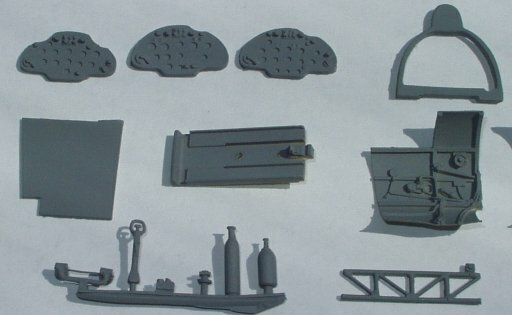 Some of the smaller items are in white metal, and the casting of these pieces seems also quite good. All of the detail was completing using the most accurate references material available (Maslov, Pilawskii), and looks to be extremely authentic. The fit of the items looks to be what one would expect from Airwaves resin; but, that story will have to wait for our reviews. To our eyes, this set looks to be another "must have" item for I-16 modelers!